View and compare information about your recent Device Magic submission history. 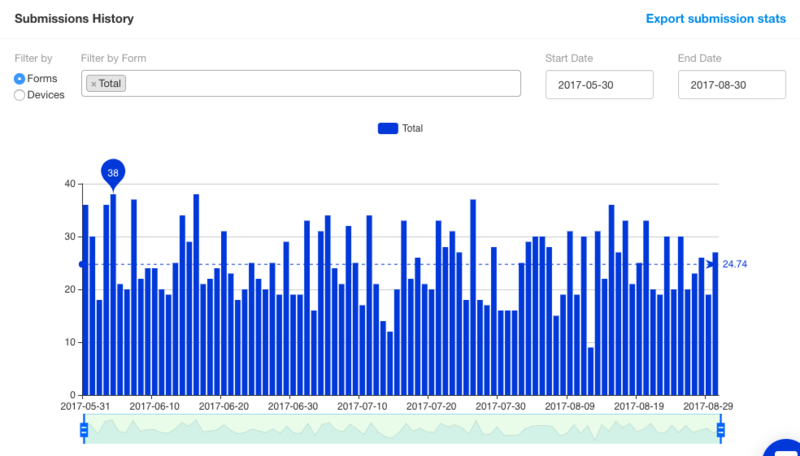 We have recently launched a new and improved submission history graph on the Device Magic Dashboard. 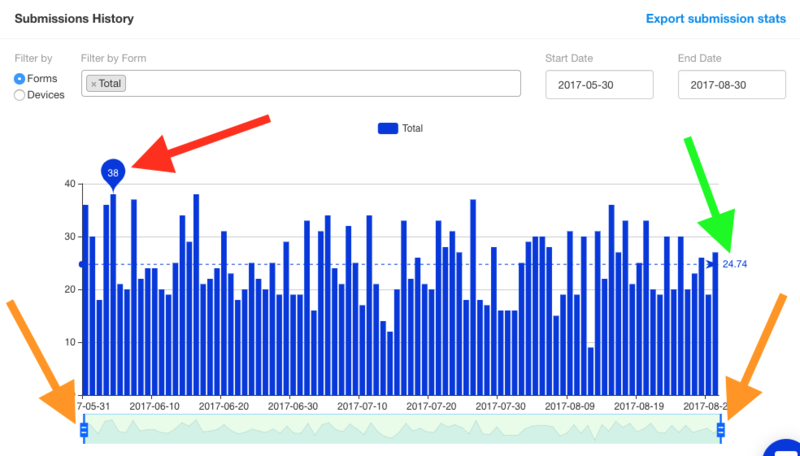 We'll breakdown all of the new features included in the improved submission history graph. Green Arrow: This line indicates the average number of submissions for the given time period. First, you can filter the graph by either forms or devices. Below is an example of filtering by multiple forms. You can also adjust the time period using the Start and End Date at the top right. If you have additional questions on the new submission history graph please feel free to reach out to us at support@devicemagic.com.